Trending at C $10.99eBay determines this price through a machine-learned model of the product's sale prices within the last 90 days. Color will be send random. Well made bright light.It could be used as multiple purposes including, fly tying UV glue curing,curing UV resins. 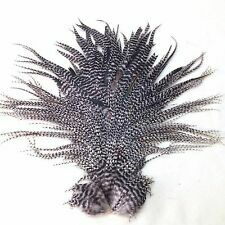 without leaving the tacky feel of an underdone curing, fluorescent materials etc. This is an ultra bright 395nm Aluminum-alloy pen shape UV LED flashlight, portable size, shock and water resistant design. Target Fish:Carp /Grass Carp /Crucian. Red Grass Carp Baits Coarse Fishing Baits ,Elastic Hanging Bait fish bait bait. (choose bag quantity for yourself) :1 bag Grass Carp Bait. Flashing LED light in the dark,vibrate in the water. Signal Lamp/Buzzer Alarm. Kid's cloth. Kid's accessories. Keyboard accessories. PCB support. Life-like swimming actions in water,easy to fish by this item. Trending at C $2.79eBay determines this price through a machine-learned model of the product's sale prices within the last 90 days. 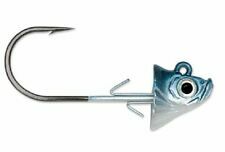 Hook Size :#12. Due to the difference between different monitors, the picture may not reflect the actual color of the item. Color : white & black combined. You may also like. For hook sizes #8, #6, #4. 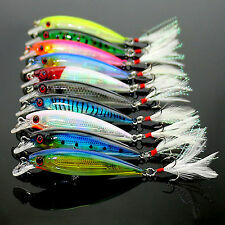 5 x Double Section Fishing Lures. Hook type: 6#. With great reflection light, have a excellent attractive effect. Size: 10.5cm Length. For a day of fishing out on the lake, river, or stream, you will want a tackle box full of options. 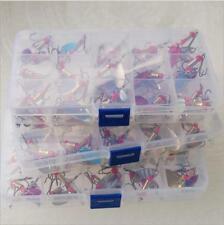 Tailoring your fishing baits, lures, and flies to the fish you want to catch will help increase your success. Diversify your tackle with rigs like spoons, crankbaits, jigs, and an assortment of flies. What is the difference between natural and artificial bait? 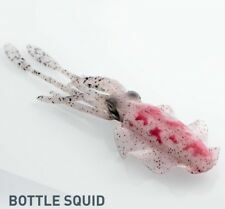 Lures - Long lasting and low maintenance, lures attract fish by moving and looking like their favourite food. Flies - Floating on the surface or just below, flies mimic insects and are great for fishing in moving water. 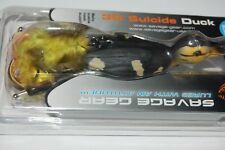 Live bait - Check your local regulations to make sure what you choose is legal in your area. Insects - Choose what your target fish eats. Saltwater - Crab, squid, eel, and chopped fish raise your chance of hooking a trophy. 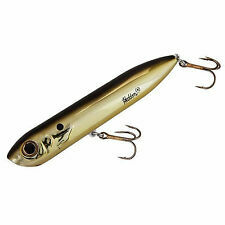 How do you choose fishing lures? 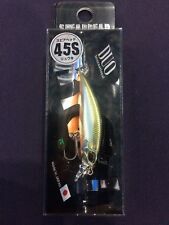 Fishing lures are one type of artificial bait. They attract by moving or looking like a fish's favourite food. To choose the right lure, you will want to consider where you are fishing and what you are looking to catch. Plastic worms - These rigs attract bottom feeders by slowly wiggling as you draw in the line. 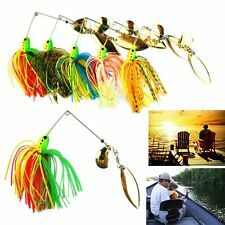 Jigs - Weighted fishing hooks, some resembling fish food, jigs are meant to be dragged along the bottom. 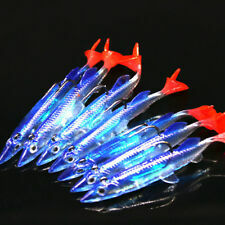 Crankbaits and plugs - These multi-hook lures resemble minnows or frogs and are drawn in near the surface of the water. 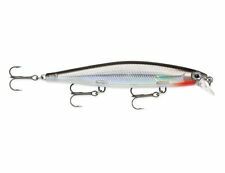 Spoons - Like crankbaits, spoons resemble small fish, but are available in many weights to attract fish at different heights in the water. 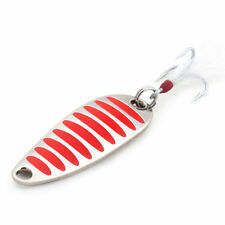 Spinners - This bait get its name from how it spins as water flows past. Spinners flicker in the light like bait fish to attract bigger carnivores. Which type of fish will your fishing fly attract? Adams - A standard rig for trout and bass fishing. Dave's hopper - This fishing fly attracts trout, especially in shallow water, because it looks like a grasshopper. Black midge - Bass are drawn to this bait. Hare's ear - Resembling a mayfly, this nymph fly works in small streams. 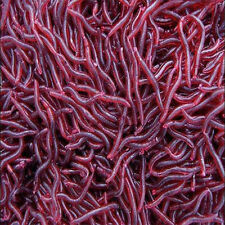 Wooly worm - This is a chameleon bait, attractive to many in small streams and lakes. Salmon flies - While they don't resemble anything in particular, this tackle catches salmon by stimulating their aggression.